Iodine is an indispensable micronutrient for thyroid hormone synthesis and metabolism. Iodine excess may trigger and exacerbate autoimmune thyroiditis (AIT). The pathogenetic mechanism of iodine excess-induced AIT is partly regarded as T helper type 1 (Th1) cell and/or T helper type 17 (Th17) cell dominant autoimmune disease. It is still unknown whether other cluster of differentiation 4+ T (CD4+T) cell subpopulations are involved. Therefore, we studied the profile of all the CD4+T cell subpopulations of the thyroid in iodine excess-induced nonobese diabetic-H2h4 (NOD.H-2h4) mice to explore the potential immunologic mechanism of iodine excess-induced AIT. 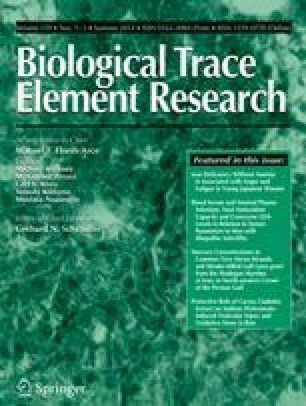 A total of 40 healthy 8-week-old NOD.H-2h4 mice were randomly allocated into the normal group (NG, n = 20) and the test group (TG, n = 20), which were fed with double-distilled water and 0.05 % sodium iodine (NaI) for 8 weeks, respectively. Compared to the NG, in the TG, the incidence of AIT was significantly higher, the expressions of interleukin-17 (IL-17), interleukin-23 (IL-23), interleukin-6 (IL-6), and transforming growth factor-β (TGF-β) remarkably increased by immunohistochemistry, which were further verified by reverse transcription polymerase chain reaction (RT-PCR), while the protein and mRNA expressions of interleukin-4 (IL-4) and interferon-γ (INF-γ) decreased markedly. In the AIT mice, the expressions of retinoic acid-related orphan receptor gamma t (RORγt), retinoic acid-related orphan receptor alpha (RORα), and signal transducer and activator of transcription 3 (STAT3) were much higher, the expression of forkhead/winged helix transcription factor p3 (Foxp3) significantly lower by western blot, and the proportion of Th17 cells by flow cytometry method (FCM) much larger compared to those of the NG group. In conclusion, Th17 cells may promote an inflammatory reaction in the development of iodine-excess-induced AIT, which is negatively regulated by Th1, T helper type 2 (Th2), and regulatory T (Treg) cells. The research was supported by grants from the Project of Shenyang Science and Technology Bureau (no. F10-205-1-31), Talents Supported Plan of Liaoning Education Department (no. LR201026), and Doctoral Program Foundation of the Ministry of Education (no. 20092133110004). We would like to thank the Molecular Biology Laboratory of China Medical University for their collaboration and assistance. We also thank the Affiliated Hospital of Liaoning University of Traditional Chinese Medicine for providing flow cytometry. There is no conflict of interest relevant to this article.